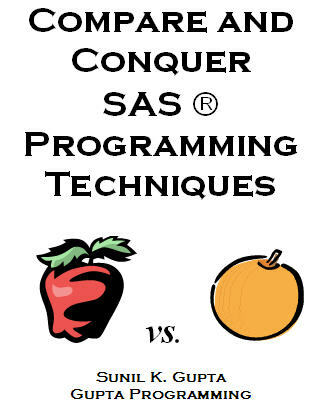 Interested in getting more SAS® resources for an in-depth SAS® programming knowledge and understanding? Consider my popular SAS® e-Guides, SAS® Books, public SAS® training on-demand classes, Pharmaceutical Industry on-demand classes, or my One-on-One mentoring program. SAS® Savvy Premium/University Student members have automatic access to SAS® e-Guides and SAS® training on various topics introduced on a monthly basis. Not a SAS® Savvy Premium/University Student member? There is still time to join now for all of the benefits. Partial list of our satisfied clients: Amgen, Pfizer, Edwards LifeSciences, Ionis, BioMarin, Omeros, BioBridges, Synteract, Averon, MarketShare, Connetics, Kaiser Permanente, Judicial Council of California, and Quintiles. Looking to make a career transition from the health care or research related field into the pharmaceutical industy? E-mail us for more information about my One-on-One Mentoring program. SAS® Savvy members save 20% off my consulting rate for more personalized attention. At SAS® conferences, students have paid up to $350 for a four-hour class and $1,200 for an eight-hour SAS classes. Email us if you want to download these self-study SAS® class course notes and SAS®examples for a member discount price to save over 30%. This includes a free one-on-one introduction web session to get you started and limited e-mail support. Selected self study classes include e-guides which are valued up to $45 each. The same three-days live CDISC corporate class worth of content contains practical examples includes all class slides, SDTMs and ADaMs, SAS macros, a total of three up to thirty-minute one-on-one web sessions, a unique 40 page e-guide, access to five video recordings of CDISC classes and nine CDISC portals to access industry expert presentations. Students study 1) mapping to SDTM and ADaM steps, 2) compare and contrast SDTMs and ADaMs, and 3) main SDTM and ADaM components/summary. E-mail us for the latest course fee and registration. You may want to check your organization for class fee reimbursement. Students start the self-study course based on their schedule and have access to real world SDTMs and ADaMs as well as SAS macros to create them. A student journal is also included to track your progress and any questions you may have. Get a CDISC certificate from Gupta Programming after completing the class. Local to the Los Angeles or San Diego area? Contact me for an on-site customized SAS® class for any industry. 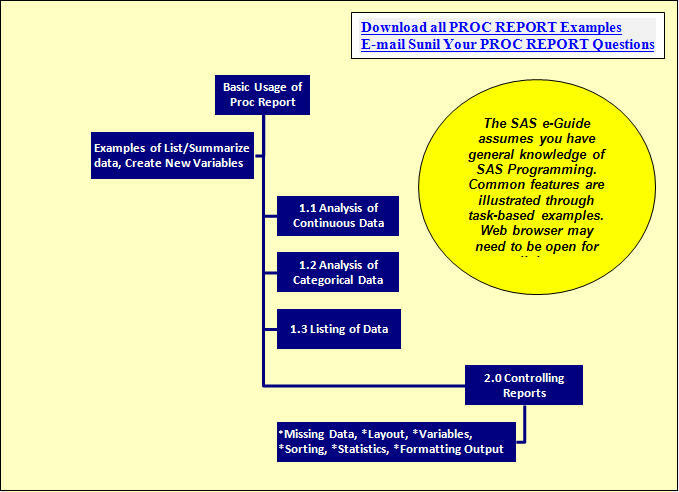 Output Delivery System or ODS is not only very powerful, but a must-know skill for all SAS®programmers mainly because it is so easy to apply and can have a big impact. 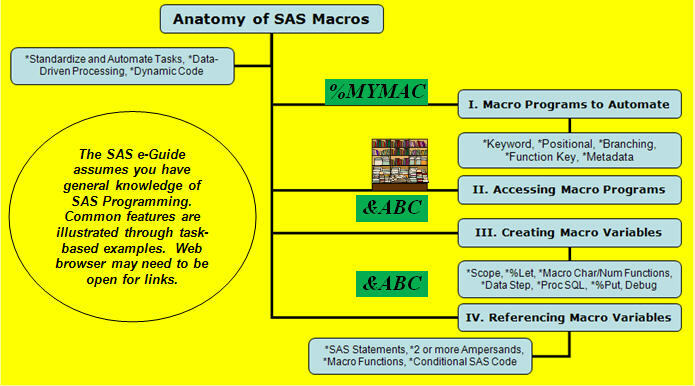 Preparing for the SAS® Base Certification exam? 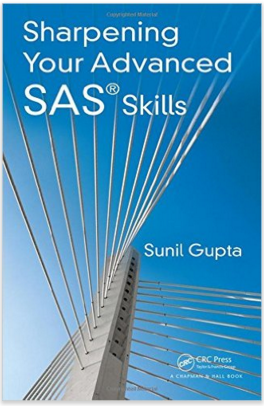 Then review Sharpening Your SAS® Skills book. Contact us for a free text book evaluation copy of Sharpening Your SAS® Skills for teaching your class. Using Enterprise Guide in your company? 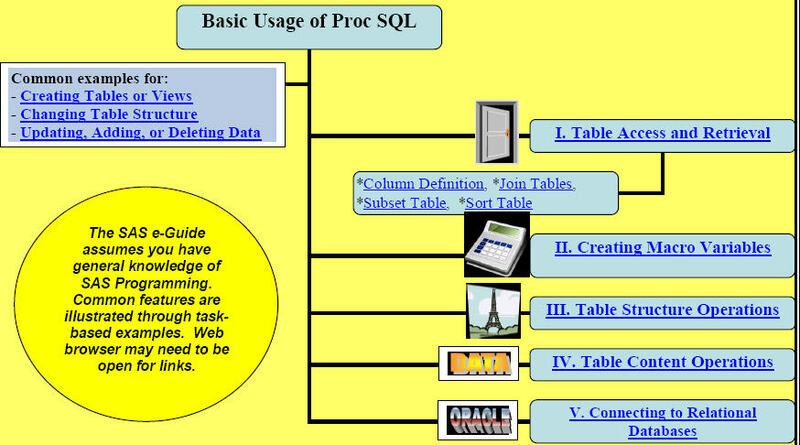 Then review the Data Management and Reporting Made Easy book. Visit SAS's Bookstore to download a free book chapter and all the SAS® examples. Remember to e-mail us witih any questions you may have on these SAS®topics. Each e-Guide is a PDF file that is iPad compatible. SAS® Savvy Premium members get access to these SAS® e-Guides with an introduction video session for each. See SAS Savvy home page for a complete list of topic dates. Not a SAS® Savvy Premium member? Download each SAS® e-Guide now for only $24.95 each. CDISC 101 Mapping e-guide is only $65. Requires Acrobat Reader 10.1.0 or greater for internal and external links to work. 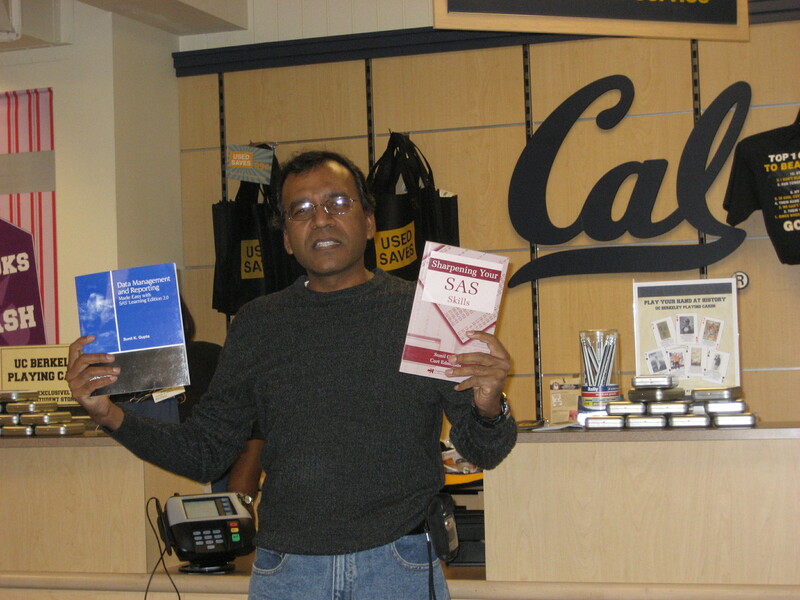 See SAS e-Guide bookstore. 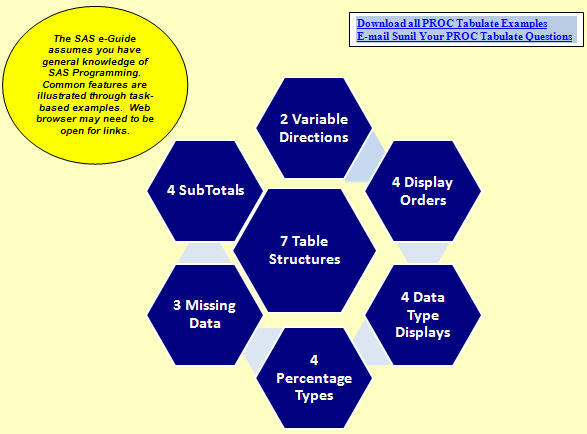 Need immediate access to a wealth of comprehensive information on understanding the uniqueness of the pharmaceutical industry and how SAS® statistical programmers play a vital role in assuring the quality of clinical data and statistical analysis? Select one or more of my specialized on-demand classes below and download the full class notes and SAS® examples. View the two-day intense courses outline. View the complete five-webinar package. These courses are offered through The Center for Professional Advancement, an organization which is CEU accredited.